Beijing Opera is a quintessential art form and a national treasure. For over 200 years, Beijing Opera has been considered an important performing art with profound cultural connotations. Beijing Opera originally flourished during the Qing Dynasty, around the end of the 18th century. The Opera style itself originated from a number of local classical dramas, drawing influence especially from Huiban or Anhui troupes who were performing in Southern China throughout the 18th century. In 1790, the first Anhui troupe performed in Beijing to celebrate the King’s birthday. After that, many Anhui troupes flooded to Beijing to perform. The performers wowed crowds with their remarkable flexibility, as they drew from their many varying performing styles to create an entirely new theatrical type. Beijing was home to a number of local dramas, which enabled Anhui troupes to improve their performances quickly. Later, Huiju drama was mixed with Hanju drama to become a form that reached its peak of excellence during the Qianlong Emperor’s reign. This style is what we know today to be Beijing Opera. Beijing Opera played a crucial role in the entertainment of ancient China. Since its conception, Beijing Opera has always been a theater genre consisting of acting, singing, dancing, pantomime, acrobatics, and combat. Beijing Opera has been known through many guises over the centuries. During the Tang Dynasty, Beijing Opera was called zaju. Its main themes were taken from the pages of the history books and from heroic folk stories. During the Song Dynasty, Beijing Opera was called the Canjun Opera, or Adjutant Play. 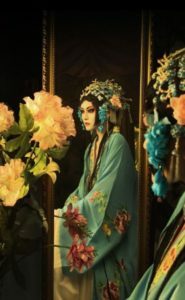 Characters in the drama of the Yuan Dynasty were heroes, writers, geishas, judges, hermits, figures from the underworld (eg. ghosts, demons, etc), and deities. Through many periods, it was named Nanxi, Kunju, Huiju, before finally becoming known as Beijing Opera. 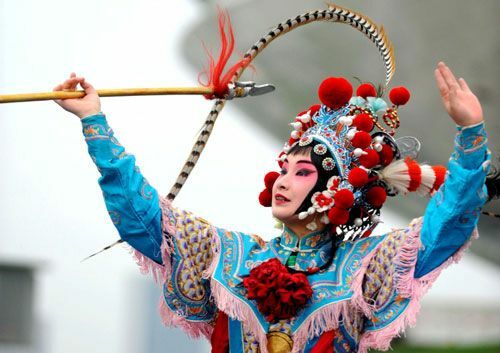 Throughout history and changes of dynasties, Beijing Opera has always remained an ever-popular art form of the people. Beijing Opera troupes were invited to perform at major events, or at the private houses of noble families. 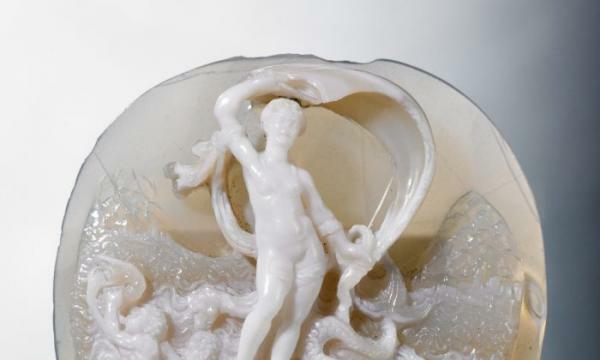 From civilians to politicians and royalty, all were passionate about this art form. 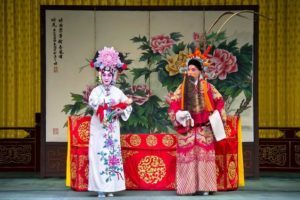 Beijing Opera carries familiarity, fairy tales, and meaningful connotations in each play, thrilling its audience and leaving generation after generation wanting more. Features of Beijing Opera performing art. Beijing Opera is a synthesis of singing, dialogue, acting, fighting, and dancing, played out to recount a story and depict its characters. 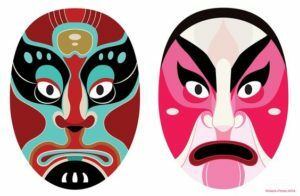 Characters in Beijing Opera belong to four categories of roles: Sheng (gentlemen), Dan (women), Jing (rough men), and Chou (clowns). There are also occasionally some supporting roles. The masks in Beijing Opera are called spectrum masks. They are possibly the most remarkable part of the Beijing Opera and are, without doubt, the most important factor in the opera’s success. Through the use of the masks, the audience can identify the personality of each character instantly and understand whether the character is loyal or deceitful, good or evil, honest or dishonest, noble or lowly. The main color used in the spectrum mask is red, standing for faithfulness; white stands for deceitfulness and cruelty; blue stands for bravery and resilience; yellow represents Gods and Buddha. Spectrum masks are a form of make-up, painted on to the faces of the actors. Techniques and shapes vary, depending on the character being portrayed. The painting techniques vary significantly; each spectrum mask has its own miraculous nature. Some spectrum masks are painted manually, without any brushes. In martial arts theater, the masks of the actors who play the role of heroes are all painted this way. The character of a military general, for example, would have to paint their face, using make-up oil mixed in various colors and paint it on their face considering whether to use dark or light colors, big or small eyes, straight or curved eyebrows, various patterns, strong or weak pen lines, all must comply with the characteristics of the role. The role of an evil character must be manually painted on the face; his eyebrows are darkened; the eyes are drawn in triangles, and there are two more wicked lines added. The foundation is put on the face so that the face is a thick and unnatural snow white, the face of the actor below the paint must never be exposed. The masks are exquisitely painted with bright colors. The face may be skewed or may be straight; the lines may be rough or thin, which are very diverse. The mask shows the good and the bad, honest or cunning character; it can also show personal relationships between characters and each character’s personality. The masks are designed to draw the attention of the audience, thereby compensating for the lack of emotional expression shown by the actor. Therefore, the mask is a big feature of the opera itself. There are many signals to look out for, so for instance, to indicate a blood relation, it is possible that the father and son characters in the drama will be painted in the same color but the techniques and shapes of the painting will be different. When the masks are being used to denote status, characters who have facial make-up of gold or silver are either a deity, God or Buddha. Characters whose make-up includes snakes, insects, fish, or shrimp will surely be a monster or demon. A solemn face usually reflects a dutiful or loyal character; those with green or blue face make-up are heroes among common people. Squinting eyes or baton eyebrows- short eyebrows shaped like batons are for monks. Masks in black with small eyes and small mouths are the masks of the royal eunuchs. Masks with white so-called tofu in the middle of the nose are all supporting roles, which are funny, light-hearted characters. Spectrum masks can also extend the acting range of the performers. Actors can play animal roles, removing any need to bring real buffaloes or horses onto the stage. Actors can portray both the character of the acting role and talk at the same time, which can become an extremely interesting dynamic. In Beijing Opera, there are also the acrobatics and acting elements. Later, under the influence of Chinese martial arts, Beijing Opera began to include martial arts performances, which made the shows even more lively and attractive. One of the most appealing plays is The Hegemon-King Bids His Concubine Farewell, which is famous for its moving content. It also goes along with the history of the Beijing Opera. The dance performances of Sun Wukong contain a lot of awe and spectacle for the audience. Ancient people had their own way of enjoying art, they could focus on the observations being made and not just displays of wonder for the eye. Therefore, Beijing Opera has survived several hundreds of years without fading away. It still retains its inherent values even though it has been passed down through the generations from dynasty to dynasty.